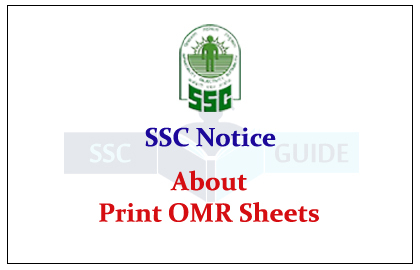 Dear Readers, SSC has announced that from 12th February 2016, the candidates can print their OMR Sheets and other details. In order to ensure greater transparency in the examination system, and in the interest of the candidates, the Commission has decided to upload the final Answer Keys, the OMR sheets and marks of the candidates, on the website of the Commission on 12th February, 2016 at 1200 hours. The candidates can take a print out of their respective OMR Sheet along with the final Answer Keys, on payment of administrative charges of Rs.20/-. This facility would be available upto 31st March, 2016 upto 1700 hours. 2. The payment in this regard may be made through the payment gateway of State Bank of India using Net Banking/Debit Card/Credit Card.